Yukirin spent most of day doing photoshoots for French Kiss final chapter. 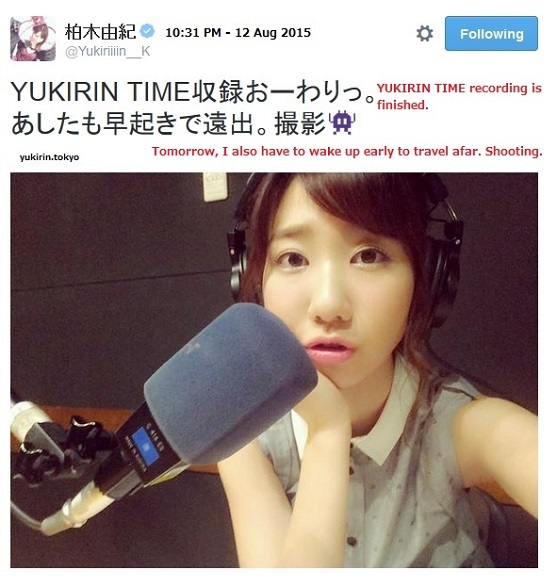 At night, she recorded Yukirin Time. Looks like Yukirin has more photoshoots tomorrow! i wish yukirin does gravure more often just like old time, but i understand with yukirin state now there will be too many people run out of blood. so “occasionally” is ok for me as long she still do it.